Pets are an important part of our lives, and providing them with high quality food, toys, and other supplies is a must. Paying for all their pet needs sure can get expensive, though, so looking for the best deals is worthwhile in order to save money. With spring coming, pet owners need to think about grooming issues associated with fleas and warm weather. The dog and cat may need new toys, too. Food is always a necessity, and this spring brings us some really great online discounts. Finally, as spring comes, this might be a good time to start thinking about some dog training to start the year off right. Here are some tips for saving money on all your pet products. Spring is a time to think about grooming dogs whose hair has perhaps gotten thick and unruly over the winter months. I know that I go as long as I can before cutting my dog’s fur during the cold months. If you want to save money, stay away from the expensive dog grooming salons, and try your hand at shaving Fido yourself. My Favorite PetShop has some great deals on grooming supplies, from all kinds of combs and brushes to clippers for the nails and teeth-cleaning supplies. Spring is also a time to think about flea control, as those annoying little critters seem to always find their way in, especially with all the furry companions that I have running around. Flea and tick products are much cheaper online; My Favorite PetShop has them, too! Use My Favorite PetShop coupons to pick out your grooming supplies to get your animals in tip-top shape for summer. Now, they don’t have the clippers to do your own shaving, but you can head on over to Petco’s site for those. Petco does carry some of those clippers if you want to try your hand at shaving your own pet—for under $30. That’s an excellent deal. Personally, I haven’t been brave enough to try again since my boy didn’t like it as a puppy. I only have to take him to the groomer about every three months or so, and I do supplemental grooming in-between—brushing, combing, clipping nails, and taking care of teeth and bad breath. 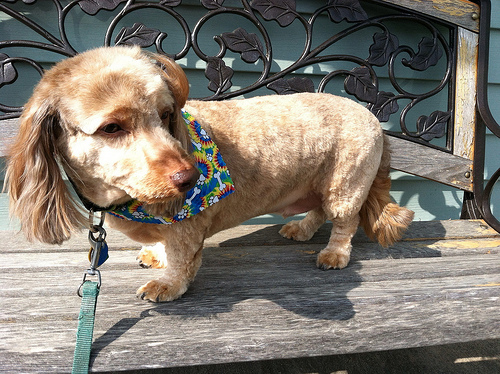 There is a lot of pet grooming that you can do on your own. USAPetExpress is worth a mention, as it is another site that offers deep discounts on flea and tick meds, as well as heartworm prevention medications. They sell all the popular ones—Heartguard, Interceptor, Advantage, and Sentinel, to name several. Revolution, a popular medication combining heartworm and flea protection, is being offered for 60% off. That’s worth looking at, especially with USAPetExpress coupons. Spring is a great time to clean out the old raggedy toys and bring in some new ones. Entirely Pets is entirely about pets, obviously. Their supply of toys is amazing! For the dog, you just have to have ropes to tug, toys to fetch and squeeze, and bones to chew on. This site has it all! 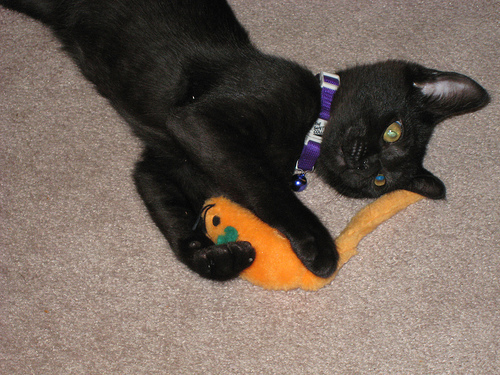 Cats will love the feathers, the mice, and the interactive toys. There are things to scratch—all different types and shapes—and things to climb. Cats love to get up high! My cats love the petlink dream curl that curls up. They scratch on it, but they also use it for a chaise lounge, especially the one I keep for them in the sunroom. They love to soak up the sun! Grab your Entirely Pets coupons and get to shopping for toys for your special pets. Stocking up on food when it’s on sale is always a good idea. Petco currently has cat food for 10% off with an online coupon. That’s a deal when you have as many cats as I do! They offer 25% off fish tanks, so that might be something you want to add to add some excitement to your spring cleaning. Petco also has a storewide clearance sale going to, with items up to 40% off. That’s an incredible savings, so take advantage of the savings with Petco coupons for all the pet products you need. Remember to check out grooming clippers while you're there, too. Dog training isn’t a tangible pet product, but it’s very important in the life of a dog. Your little buddy learning how to sit and stay not only establishes your authority, but it can also save the life of your dog in a dangerous situation. This course claims to cover dog training and needs “from A to Z.” With TrainPetDog coupons, you can save 10% on the training. With spring in the air, it’s a perfect time to get ready for the season by taking care of your pets’ spring needs. It’s always a good time to stock up on pet products, too. Check out all of these online coupons for some excellent deals. Here are some additional tips on how to save money on pet food and pet products. Responses to "Where to Save Money on Pet Products, Grooming, and Training Supplies"